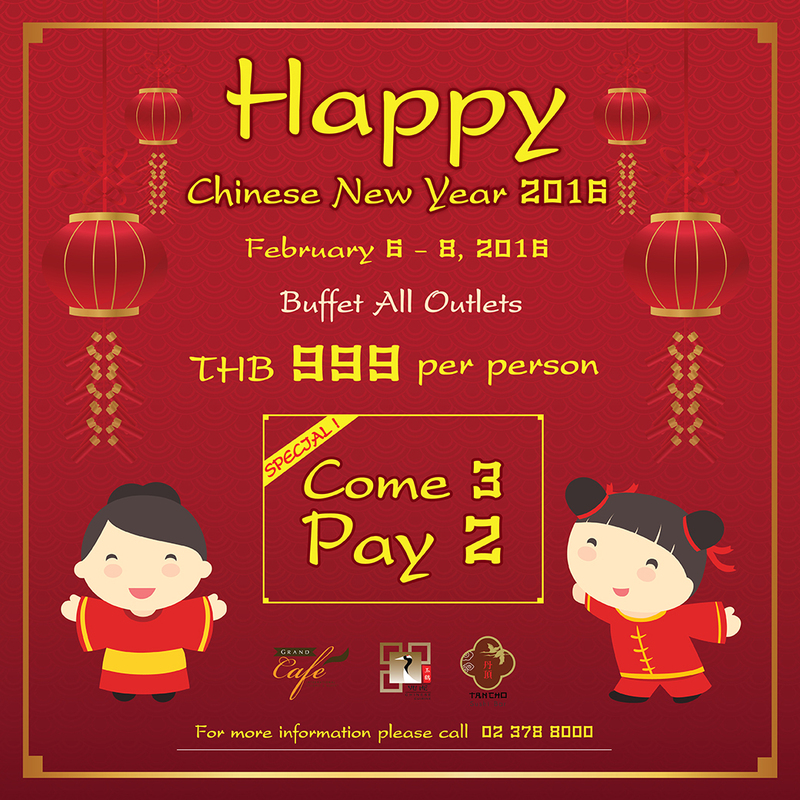 The Grand Fourwings Convention Hotel invites you and your family to celebrate the year of monkey with All you Can Eat “Come 3 Pay 2” all Outlets at Yu He Chinese Cuisine, Grand Café and Tancho Sushi Bar during February 6 – 8, 2016. Special!! Lion Show at Lobby of Hotel, on February 8, 2016 at 13.00 hrs. Get free!! Auspicious oranges and Lucky Ang Bao. วันที่ 3 กุมภาพันธ์ 2559 เวลา 09:52 น.